The theme of International Women’s Day 2019 is “Better the Balance -Better the World.” This is an excellent theme, but it certainly isn’t the first time we’ve been reminded of the importance of achieving and maintaining balance. Despite our intellect, creativity, innovation, ingenuity and energy some lessons seem to slide by us as if we were Teflon coated. We are told about, and sold on, the one super food or super exercise to improve our health, but when all is said and done, it always comes back to eating a balanced diet or executing a balanced exercise program to maintain a healthy level of fitness. The natural world is full of examples: light and dark; sun and rain; activity and rest; work and play; even the Lion King’s Mufasa understood the balancing roles of predator and prey in completing the circle of life. Things just seem to work better, last longer and prove to be more efficient and effective when the participating elements are in a balanced state. Imagine the world we can build when we have the full range of human endeavor enriched by the combined efforts of women and men in a balanced force of nature. In an effort to “walk the talk,” ReaLifeSim offers its own cohort of amazing women who balance our team and make a better world by improving healthcare training and delivery resulting in enhanced patient safety and outcomes. Co-founder and CEO, Elizabeth leads the team that created globally utilized ReaLifeSim medical and VetReaLifeSim veterinary wearable hybrid IV and blood draw task trainers. 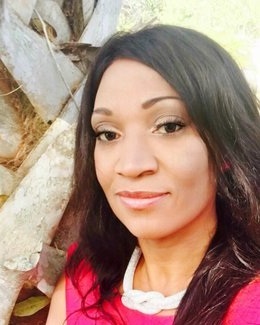 Under her leadership, the ReaLifeSim has garnered international recognition as a Top 10 Healthcare Simulation Solution provider for 2018, a Top 12 company leading in the area of patient safety advocacy 2019, and the provider experts choose for simulated IV scenarios in eight international EMS competitions. Elizabeth mentors women entrepreneurs and is an active STEM/STEAM advocate. 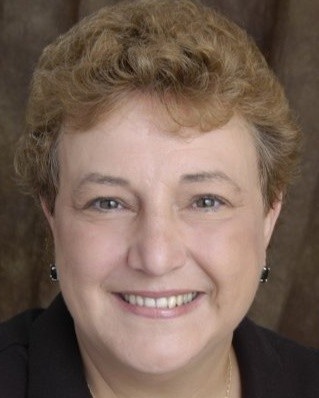 Co-founder, Linda brings her expertise as a Certified Healthcare Simulation Educator to every level of development, scenario creation and competency measures. Linda’s current work as a college-based simulation coordinator and small business owner continue to provide critical insights she applies to every product presentation, functional demonstration and clinical education opportunity. Rhonda’s experience in quality assurance in the aviation/space industries contributes to her keen focus to ensure on-going product quality and patient safety elements are maintained at the highest levels. Given aviation is the benchmark for building a culture of “zero tolerance” regarding issues of customer safety, her input is critical in keeping ReaLifeSim at the forefront of patient safety advocacy. Rhonda is an active STEM/STEAM advocate. Jacqueline adds her passion for education and advocacy through her contributions in developing instructional material for products and technology and supporting advocacy positions. As the team’s historian, she also works to keep the record of the company’s journey clear and accurate to ensure a record of lessons learned and corporate consistency to original goals. Jacqueline is an active STEM/STEAM advocate. Shannon’s energy and enthusiasm make her a perfect fit in her dual roles as digital marketing and customer care specialist. She’s the go-to person for all things tweeted, posted, Instagramed, Pinterested, etc. Plus, Shannon delivers personalized customer service, from explaining the functions of various products to following up orders and fulfillment to ensure customers get what they need, where they need it and when they need it. Alexus’s love of animals and strong research/survey and writing skills contribute to the success of our veterinary product line, VetReaLifeSim. Alexus, a recent UNF graduate and volunteer at the local Humane Society, is starting a graduate program while in pursuit of her goal to become a Doctor of Veterinary Medicine.